2 MONTHS FREE W/18MO OR 1 MONTH FREE W/ 13MO LEASE! READY FOR IMMEDIATE MOVE-IN! Beautiful studio with amazing LAKE VIEWS now ready for immediate occupancy! Offering high end European finished throughout & luxury amenities. European style cabinetry, grey hardwood floors throughout, Whirlpool stainless steel appliances, quartz countertops, custom backsplash, custom organized built in closets, in unit full size washer & dryer, custom roller shades, black out shades in all bedrooms, Grohe faucets, custom baths, extra sound insulation . 24 hour door staff, onsite management, massive work out room featuring Hoist equipment, outdoor work out area, dog run, basketball court, yoga studio, locker rooms with sauna, onsite press box dry cleaning, conference room, beautiful party room with kitchen, bar, game room, fireplace & theatre. Incredible outdoor pool deck featuring grills, fire pits, cabanas & beautiful lake views. Garage parking $275. Monthly utility package additional $150. Pets welcome! 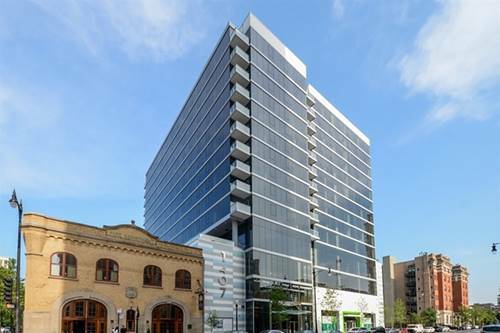 For more information about 1407 S Michigan Apt 906, Chicago, IL 60605 contact Urban Real Estate.